New Delhi, April 9: India opener Rohit Sharma turned a new leaf in his career when Mahendra Singh Dhoni asked him to open the innings for India. There was no looking back for the run-machine since. But he isn't the only one who has benefited from being pushed to the top of the order. 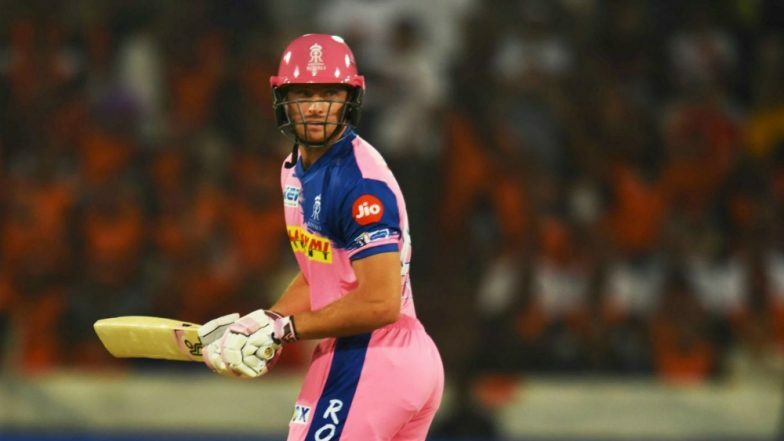 Rajasthan Royals opener Jos Buttler turned from an impressive batsman to a match-winner when RR decided to make him open last season in the Indian Premier League. Speaking to IANS, the Englishman said that it is indeed true that his career has gone from strength to strength after he was made to open the innings for Rajasthan in the last edition of the cash-rich league. From being a quality bat, he went on to become a destructive player who can now change the course of the match with bat in hand. R Ashwin Run Out Jos Buttler Mankad-Style in IPL 2019, This is Second Time English Man Got Out In This Fashion; Watch Video.